Space Hulk Deathwing Free Download PC Game setup in single direct link for Windows. It is an awesome action and adventure game. 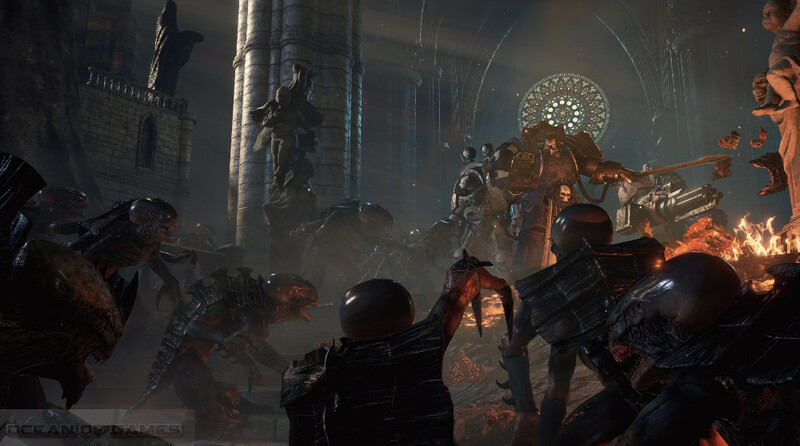 Space Hulk Deathwing has been developed by Streum On Studio and is published under the banner of Focus Home Interactive. This game was released on 14th December, 2016. 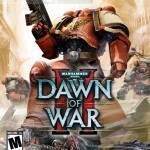 You can also download Warhammer 40000 Dawn of War 2. 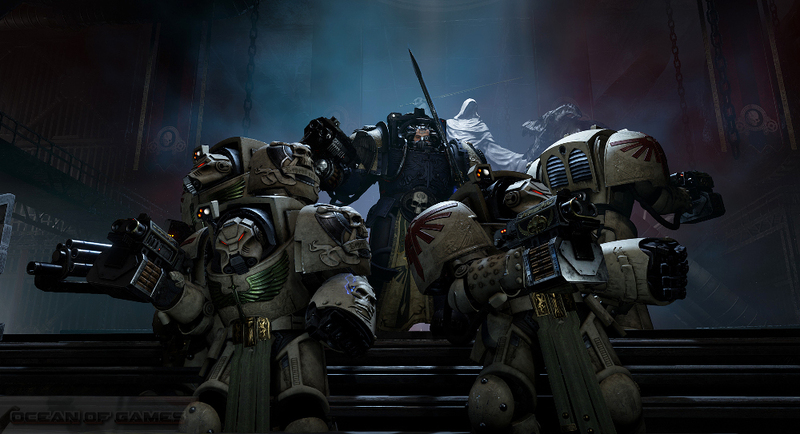 Space Hulk Deathwing is a 1st person shooter game that has been set in the universe of Warhammer 40,000. You are going to experience a battle against Genestealers in the confined tunnels of the Space Hulk. You are going to play as a Space Marine from one of the most feared Space Marine forces. You can unlock new abilities through 3 different skill trees. You have access to some of the most lethal weapons and you need to grow in power in order to achieve your goals. 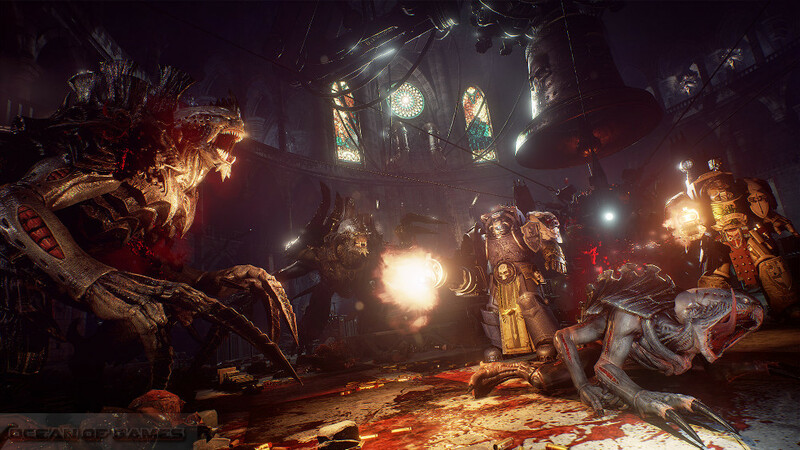 Developed on Unreal Engine 4, Space Hulk Deathwing has also got a Co-Op mode where you are going to play with your friends as a Terminator squad. 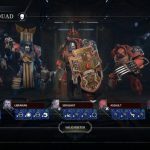 You can also download Warhammer 40000 Deathwatch. 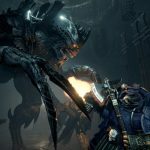 Following are the main features of Space Hulk Deathwing that you will be able to experience after the first install on your Operating System. 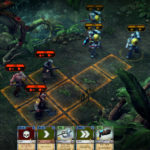 1st person shooter game set in the universe of Warhammer 40,000. 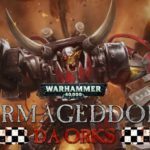 Experience the battle against Genestealers in confined tunnel. 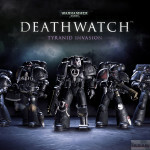 Play as a Space Marine from one of the most feared Space Marine forces. Unlock new abilities through 3 different skill trees. Got Co-Op mode where you play with your friends as a Terminator squad. Before you start Space Hulk Deathwing Free Download make sure your PC meets minimum system requirements. Click on the below button to start Space Hulk Deathwing. It is full and complete game. Just download and start playing it. We have provided direct link full setup of the game.